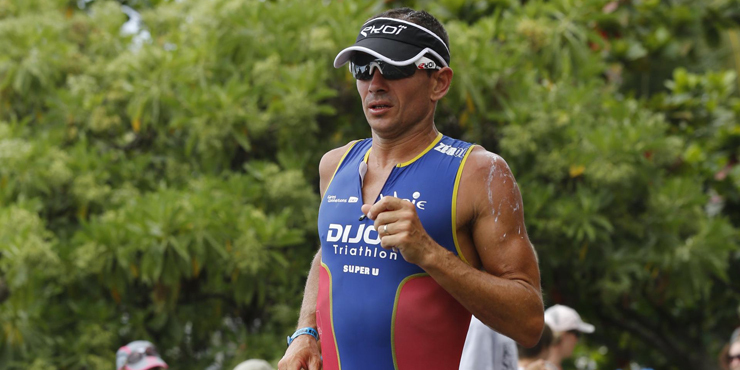 Gilles Reboul is one of the best IRONMAN athletes from France in history. 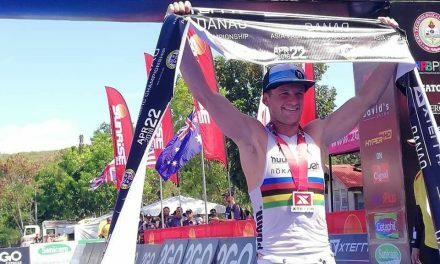 Last year he came to Kona to discover something new as an amateur athlete—and took away the title in his division. 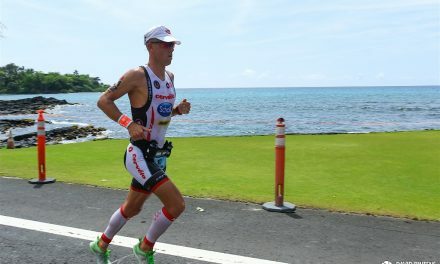 Gilles Reboul was anything other than a rookie when he came to Kona last year to make his debut as an amateur athlete. When the 46-year-old from Dijon, France arrived on the Big Island last October, it was nothing new for him. It was, however, also something brand new. 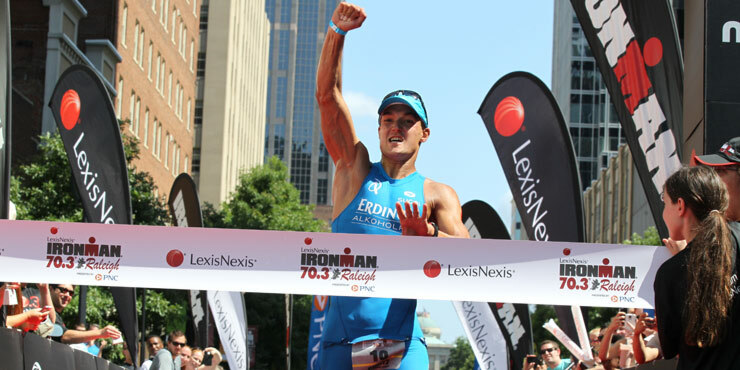 After taking part in the professional race in 2003, 2004, 2005 and 2007, 2014 was a new beginning of a different kind—and one that Reboul says he shared with his wife and two children. « I do not really have a mental preparation, » says Reboul of his racing strategy. « I take the race as it comes, with the fitness that comes. I trust in my abilities at the time and run my race with all these sensations. » And he knows all about those: the rough water, the wind, the heat, and the humidity. Speaking of his race last year, Reboul says the swim was a fight, the bike was pleasurable for the first 130 km, and the last 50 were « very hard because of the wind and fatigue. » He says he struggled to find his rhythm in the marathon, but at 15 km, managed to accelerate and to finish with a good overall pace. 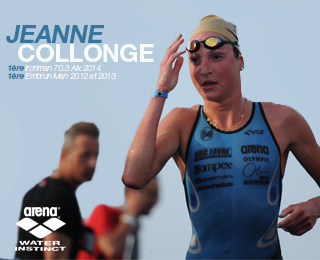 The race echoed his pro career, where, despite his swimming background, he always can trust his run. Reboul came out of the water in 12th place in his division (1:00:34), and took over the lead on the bike (thanks to a split of exactly five hours). Starting the run, the race in his division was still very close. 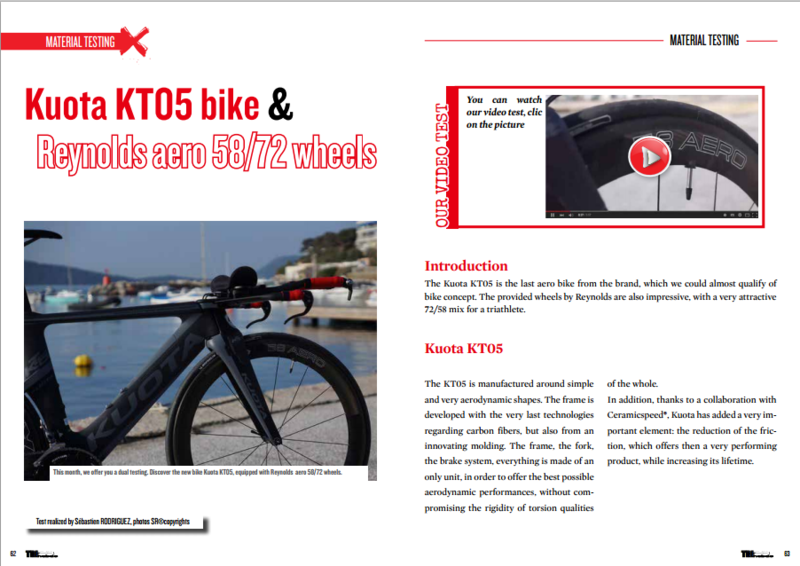 « The level of competition is very high in Kona, » he says—nonetheless if you are a pro or an age-group athlete. « In the Energy Lab I was surprised to see that we were likely near. So I decided to give everything. In the end, we ended up very close to each other. » Reboul ran the marathon in 3:16:30 to win his division in 9:22:59, only about two minutes ahead of Pierre Heynemand (Canada) and the Chris Hauth (USA). 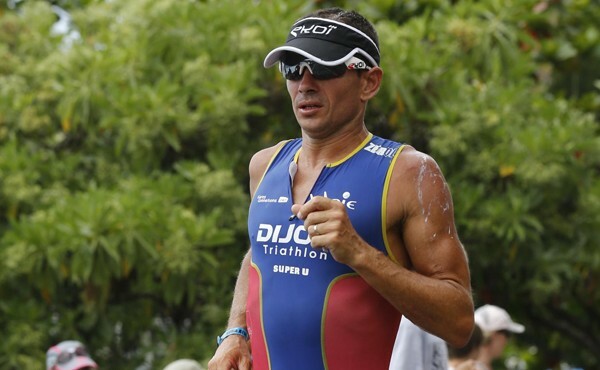 Reboul is a former winner of the famous Triathlon de Nice and one of the strongest French athletes of the past years. And he is still thrilled by Kona—he loves the way back after the turnaround during the swim, the uphill section on the bike up to Hawi, and the run through the Energy Lab. « Finally, I like the transitions and the finish because of all the people. » Though he won’t be back this year, 2014 was surely not his last dance on the Big Island.